Protect your organization’s information with ISO 27001:2013. Information is one of your organization’s most important resources, and keeping that information secure is vital to your business. 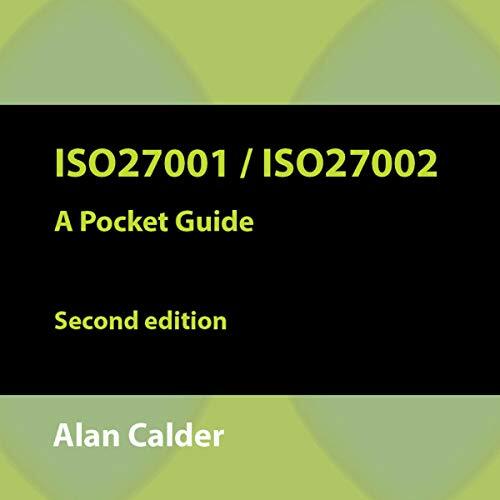 This handy pocket guide is an essential overview of two key information security standards that cover the formal requirements (ISO27001:2013) for creating an information security management system (ISMS) and the best-practice recommendations (ISO27002:2013) for those responsible for initiating, implementing, or maintaining it. Protects your information assets from a wide range of cyber threats, criminal activity, insider compromise, and system failure. Enables earlier detection of threats or processing errors and faster resolution. You can arrange for an independent audit of your ISMS against the specifications of ISO27001 and, if your ISMS conforms, eventually achieve accredited certification. We publish a range of ISMS documentation tool kits and guides (such as Nine Steps to Success) to help you achieve this. "The ISO/IEC 27000 Family of Information Security Standards"
"Specification vs Code of Practice"
"Process Approach and the PDCA Cycle"
About the author: Alan Calder is the founder and executive chairman of IT Governance Ltd, an information, advice, and consultancy firm that helps company boards tackle IT governance, risk management, compliance, and information security issues. He has many years of senior management experience in the private and public sectors. A handy pocket guide providing an essential overview of two key information security standards - buy it today and learn how to protect your organization’s most important asset.